At the 2014 TCEA Convention and Exposition, I presented a concurrent session called Got Twitter? Make it Better! I have presented several workshops over the past few years which introduce folks to using Twitter for professional learning, but have also wanted to share other tips and tools that have made my use of Twitter more productive. So I was excited to get to do just that this year! Here is a quick summary of what I shared. I assume folks reading this already know the basics of using Twitter and how to follow, Tweet, and Retweet. If you aren't comfortable with the basics, you should start with my Twitter for Professional Learning resources before delving into the info presented here. Below this list, you will find a link to the LiveBinder I used to collect the information and resources for this presentation. One caveat: Don't try all of these tools at one time! I've listed them in the order I think they will be of most benefit. Try them one at a time for a little while. Get a handle on one before you try another. And not all tools will work for you. That's ok, too! Use what will benefit you, not frustrate you. Use #hashtags when you search for information on Twitter and use them on the Tweets you send out. #Hashtags help categorize Tweets to make it easier to find information that will really benefit you. For example, the #mlearning hashtag will bring up Tweets related to mobile learning, and #txed will bring up Tweets related to Texas education. In the LiveBinder below this list, I have included numerous articles listing popular education #hashtags. Participate in a Twitter chat. Twitter chats take place live for approximately one hour every week or every other week and are centered around a specific topic such as digital citizenship or English teaching. During a chat, all participants use the chat hashtag on their Tweets. Specific questions are asked and participants give their answers or generate other questions. Chats can move quickly. You might just want to watch/lurk on your first chat. And use TweetChat.com to keep up with the comments. A comprehensive list of current chats going on in education is included in the LiveBinder below. Use Diigo to save all of those links you find on Twitter! You can save links to a Word doc or favorite them in the browser on your computer, but what happens when you are working from another device? You can't get to those resources. Diigo keeps all of your bookmarks online, or "in the cloud", allowing you to access them from any computer or mobile device. It also allows you to categorize your bookmarks using tags for easier searching later. And there are advanced features such as highlighting and note taking on websites. Be sure to access the Diigo resources in the LiveBinder below. Hootsuite is a tool for accessing your Twitter account and seeing all of your Twitter action in multiple columns. It also allows you to set up searches on Twitter users or hashtags you want to make sure you keep up with. Give Hootsuite a try, and you might not directly visit twitter.com ever again! If you tend to Tweet a lot during certain hours of the day, Buffer may be the tool for you. Buffer will allow you to schedule Tweets at pre-determined times throughout the day. So, when you are working or teaching, your Twitter is still sharing information, and it is broadening your audience, which may in turn broaden the network of people you can learn from. I've connected with educators in the UK and Australia and other countries by using Buffer to send Tweets out when I am working or sleeping. You probably already know about Pinterest, but did you know you could do double-duty with it? If you go into your Pinterest settings and link it with your Twitter account, you can Tweet when you pin. That broadens the number of folks who could benefit from what you are sharing. Scoop.it is a personal favorite of mine. It is similar to Pinterest in that it allows me to save links connected to one topic, but it has the added feature of allowing tagging of posts and comments/conversation about the resources you share. Scoop.it can also be integrated with your Twitter account so when you save a resource to a Scoop.it board, you can also Tweet it out simultaneously. Scoop.it also learns your interests and suggests more resources for you based on those interests. Are there folks you follow on Twitter who are awesome bloggers? When you see they've written a new post, you can't wait to read it? Well, chances are, if you are only following their blog via Twitter, you are missing some posts. That's where Feedly can help you out. Feedly makes it easy to subscribe to blogs and not miss a post. And, if you do get behind on reading, it's easy to just "mark all as read" and start from scratch. When you integrate Feedly with Twitter and/or Buffer, you also have an easy way to share the good stuff you read with your Twitter network. Visit the LiveBinder below to view the resources I collected for the tools listed above and shared during my live presentation. 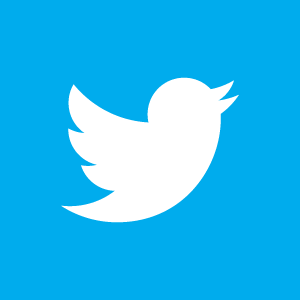 What tools do you like to use to improve or streamline your Twitter experience? Please share in the comments! All original work in this post by Sandy Kendell is licensed under a Creative Commons Attribution-NonCommercial-ShareAlike 3.0 Unported License. Please see specifics on my re-use policy in the right-hand column of my blog before re-posting/re-using any of my blog content. Visit & Join Our New Blog! Greenhaus Education and Other "Effects"
Being Present: How to Balance Digital Life with Physical Life? Any original work by Sandy Kendell is licensed under a Creative Commons Attribution-NonCommercial-ShareAlike 4.0 International License. For reuse permissions, click here.